PRESS RELEASE: Introducing the VH7 HD Monitor–the resolution you need at the price you want! 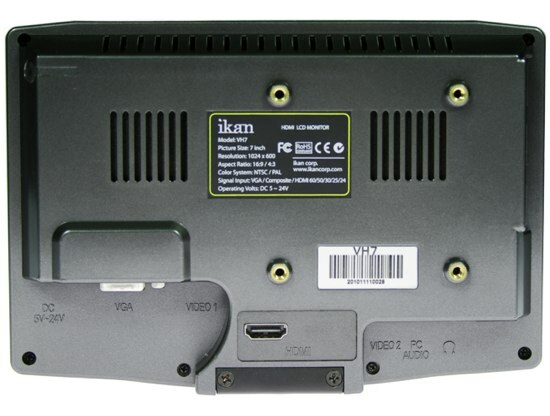 For those in need of a high quality, cost effective entry level high definition monitor, ikan proudly introduces the VH7. The ikan line of HD monitors is all about connections and the VH7 is no exception. Equipped with an HDMI, VGA, and 2 COMPOSITE INPUTS, ikan’s VH7 will exceed the expectations of even the most demanding users. This 7 inch monitor boasts a sparkling resolution of 1024×600 with both 16:9 and 4:3 aspect ratios, and can be powered with the provided AC107 DV battery plate for use with your of choice of Sony, Canon, or Panasonic style batteries. The new VH7, a complete out-of-the-box self powered HDSLR field monitoring solution… from ikan. For those in need of a single HDMI monitor solution the VH7 is for you! Now you can run an HDMI, VGA or COMPOSITE without the clutter of additional connections that you don’t need. One simple connection provides a brilliant screen resolution giving you a clear and accurate image representation. And where does the cost of those unneeded connections go? In your pocket! The VH7 is one of the most affordable 7 inch HD monitors on the market giving you the ability to stretch your production budget even farther. The VH7 Has You Covered. The days of purchasing a separate battery plate for your monitor are over. In addition to the included AC adapter, the VH7 comes complete with our popular BP2T adapter plate! 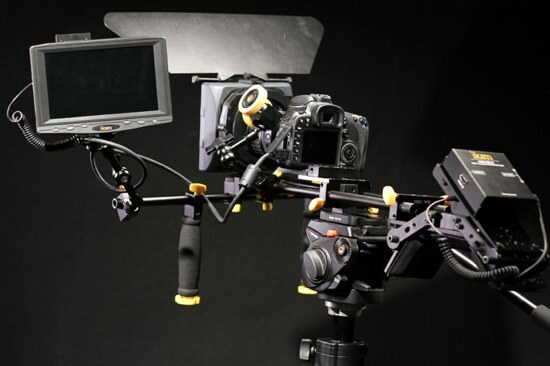 Whether you are shooting with a Canon, Panasonic or Sony DV camera, ikan has you covered. 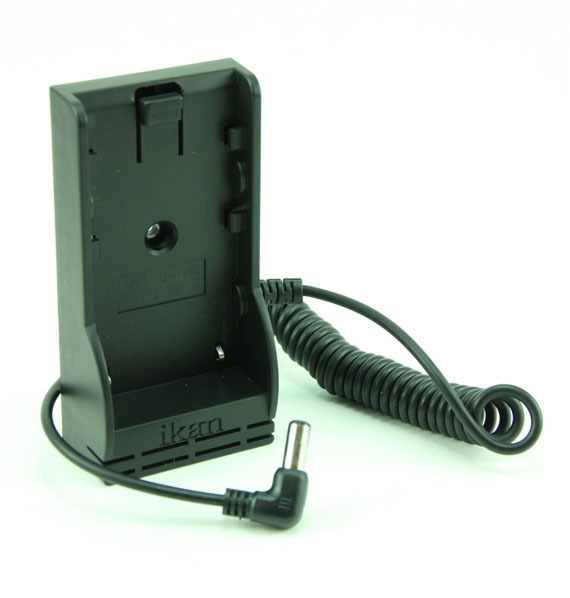 Simply specify which battery plate you would like (Your choice of either the Sony L, Sony BP-U, Canon 900, or Panasonic D54 series batteries) ,and you will receive a complete, self-powered HDSLR field monitor with the quality and reliability you have come to expect from ikan. For images, pricing and more information, click here. ~ by Ryan Aivalis on December 1, 2010.